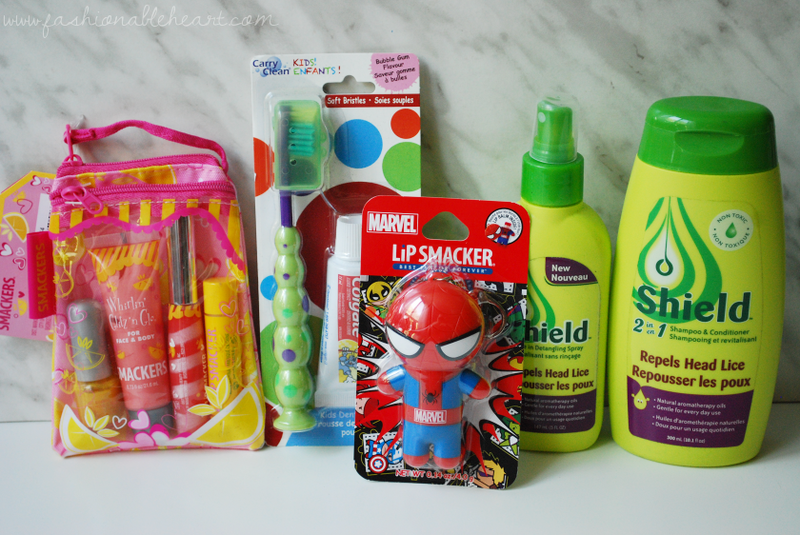 Fashionable Heart: Back to School Must Haves and Trivia - Perfect for Parents! 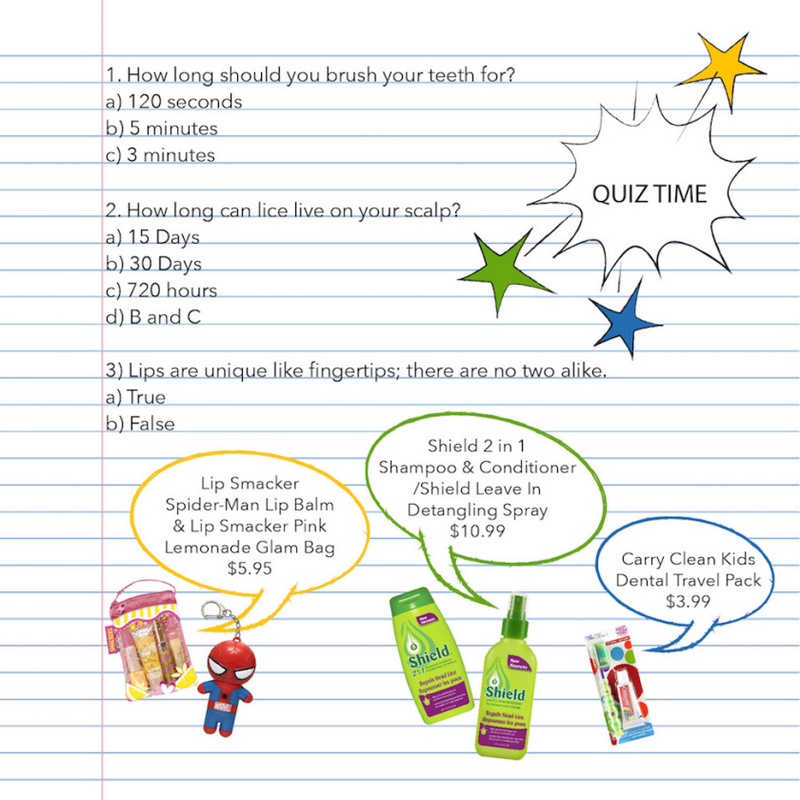 Back to School Must Haves and Trivia - Perfect for Parents! 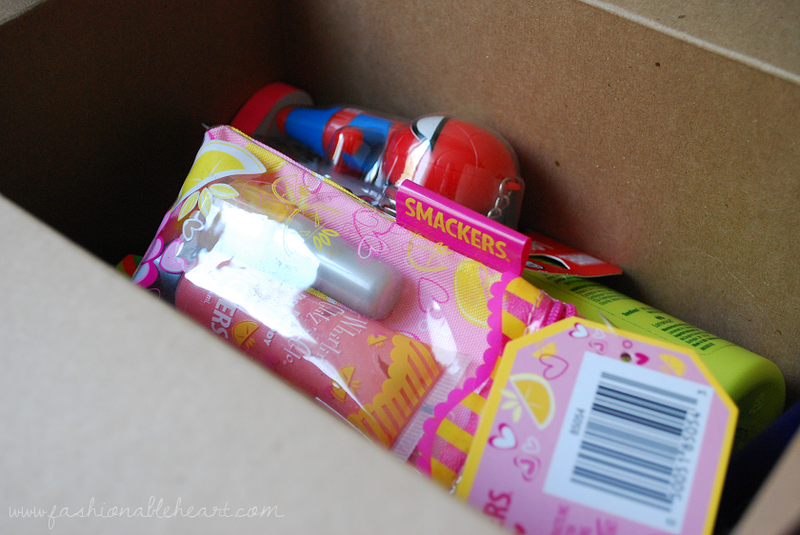 When this PR package arrived, I could not stop looking at the adorable box. 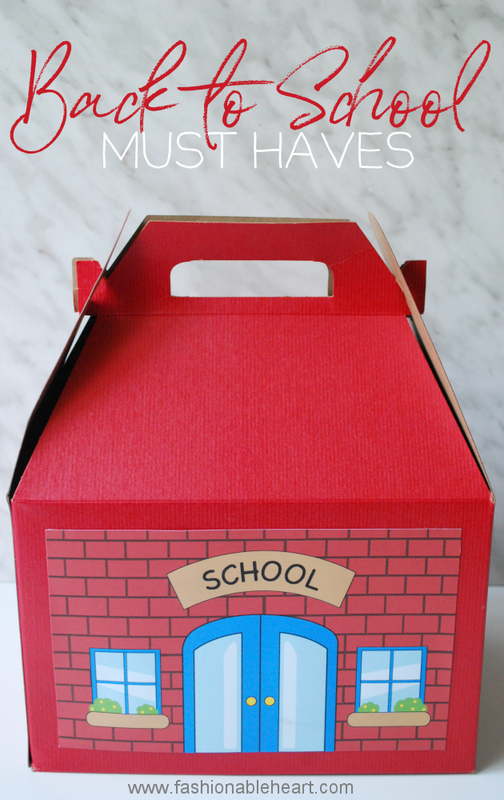 And it was well-stocked with some fun back to school items in it! Some of the things in here are suited for everyone, some more for the younger crowd, and certainly items to make any parent's life easier! There's a little quiz at the end just for fun! First is the fun stuff! 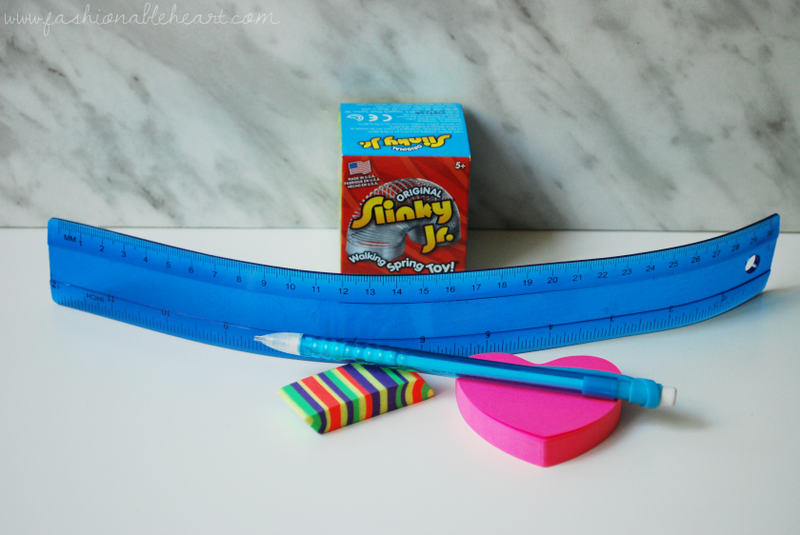 Guys, when is the last time you had a Slinky?! I used to love mine growing up! As for the ruler, eraser, pencil, and heart sticky notes? Those are always applicable in my daily life, especially in my planners. I also take online courses, so I'm always in need of these for notes. I think the words "no. 2 pencil" are ingrained in my head forever. These are a must for a pencil pack at school! Now to the essentials! I don't care how old I get, I will not say no to a good Lip Smacker. Who decides we're too old for something? You do you! The Spider-Man one is in my purse now and it's so good. It's a pomegranate flavor and I'm obsessed. The keychain clip makes it convenient for any bag or to attach to keys.The Pink Lemonade Glam Bag is fun with a little nail polish, lip balm, lip gloss, and a highlighting gel. Perfect for your glamorous little one! You have to start pushing a good dental hygiene routine on kids at an early age. This dental kit comes with a small soft-bristled brush that has a cover on it, so you can easily toss it in a backpack pocket. The travel-sized tube of toothpaste is bubblegum flavor for the pickiest of kids and helps fight cavities. This is great for after their lunch and snack breaks. Finally, we have the Shield products. There's a shampoo + conditioner and leave-in detangler. I think this could benefit kids, parents, and teachers. This line helps to repel head lice with natural aromatherapy oils. Anyone can use these, though. They make your hair really soft and the smell is a little medicinal from the oils, but it's not overpowering. I have really fine hair that tangles, so I always use a detangling spray or leave-in conditioner to help. Ready for a little pop quiz? Don't worry- you won't be graded and you don't need a no. 2 pencil. ;) To those that it applies to, I hope the school year is going well so far! I'm taking two classes right now- one on the Holocaust and one on Ancient Greeks. Do you ever take a course just because? I love to! **All of the products in this post were provided to me for testing and reviewing purposes. All thoughts are my own. There are no affiliate links in this post.